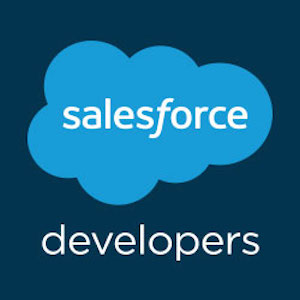 I am already a salesforce developer in a company based in Poland. Since I know this platform, I have decided to write my engineering work/bachelors of science about salesforce and create an app on it. Therefore I need a developer enviroment for about 6-12 months that will not expire. All the free ones are for one month freely only. Have You got guys any sugestions what I could do? I already wrote about 4-5 times question/ to suport asking the same question again and again, and each one is telling me to write to someone else. Here's what I have in "English": If the value in a field is either of 2 picklist values, then put a 1 in the formula field. If it is either of two different picklist vales, place a 2, etc. There are 5 pairs of these. Do I need another layer of ORs, different punctuation? I don't know. Please help! Also, the "0" at the end is not a valid picklist value, it's just a placeholder. Greetings, I am working on the Prevent XSS in Force.Com Applications Trailhead, so far I've gotten most of the sections cleared. However, I seem to be stuck with this one. I've attempted many ways to assign JSENCODE, HTMLENCODE and JSINHTMLENCODE where needed but seem to stuck, are there any steps I should take here. My code's below. Hope it helps! Which Automation process could be used to send notification to User during business hours? If user A wants to receive a notification when a new case is opened with the status of "New" during business hours. Which could be the best automation processs could be used to accpmplish this? Escalation rules OR Process Builder OR Visual Workflow? I want to create a formula field that based on the record type inserts a text value. For example if todays date was September 20th and I had a opportunity where its Close date is in October. The close date and amount should be locked. How can I get this rule to apply to opportunities? Cannot get App from AppExchange for "Extending Reports using the AppExchange"
i am facing same word again and again. what is "reps" represent? The Trailhead unit Extending Reports using the AppExchange requires you to download the Adoption Dashboard. I keep getting an error when trying to downlown that says "Package Not Found - The request packages does not exist or had been deleted. Please contact the package publisher for assitance. If this is a recently updated package, please try again soon". Any suggestions on how to get this corrected so I can complete my Superbadge? I have a formula written in a formula field, and I'm pretty sure the layout is correct, but I can't get the syntax right! I believe there is a parenthesis or comma out of place, but I can't find it and it's driving me nuts. I've tried for over an hour and can't seem to get it. Any help would be greatly, greatly appreciated! If notice period checked to true, resignation date cannot be null. Can any one solve my problem?? I m trying to create a formula field but showing error..
can any one help me to crack this this problem.?? Configure actions to be executed at different times. but when i consulted the interface of the Process builder we can establish immediate actions and MANY scheduled actions to be executed. so i don't know if it's an error or the Process Builder Has been updated in the last releases. Can someone advise me on how to create a forluma with languages and genders please. I have created picklists of languages, German and English, and genders, Female and Male. I would like to create a new formula field for the letter salutations. For instance, If a contact is a female and speaks German, her salutation will be Frau. I am new to Salesforce. Any advice will be much appreciated!! I have just begun the SuperBadge: Lightning Experience Specialist. I am unable to rename standard objects. Any thoughts? Why do only some of my Trailhead Badges show up in my connected Partner Community? I have 47 badges, but only 35 of them appear in the Community where I connected my Trailhead account. I'm experiencing a signficant delay when attempting to install the managed package to complete the Security Superbadge -- over 45 minutes and no email marking completion or evidence the component(s) have installed. I think it's just an Apex class so flagging in case there's a systemic issue. In summary, I'd like to call an Apex class that will compare the values of two collections passed from Visual Workflow. It should four collections: the values that both collections have in common, all the values, the values that are in only the first collection, and the values that are only in the second collection. It should be capable of taking two collection variables of the same data type and compare them as described above. It should be capable of taking two sObject Collection variables and compare them. For bonus points, it should be able to take a field of an sObject Collection variable and compare it to a Collection, or a field of another sObject Collection variable. For even more bonus points, it could take an sObject variable or a regular variable, not a collection, compare it to a Collection of the appropriate type, and return true if the sObject variable or variable is a member of the Collection Variable. I feel like I'm asking for a miracle, but the Spring '17 release is too long to wait for Salesforce to implement this idea, if they decide that quickly to implement it. Let's create our own code so that we can use it, and if Salesforce wants to implement this feature, they can adapt our code to Salesforce standards. Solution for Trailhead error "Your DE Org session has timed out. Please login to your DE Org to continue." ​You've been away for a while and you're now logged out of your DE. This can simply be resolved by logging in again and restoring the connection. No matter how many times you log out and log in again, having the security setting "Lock sessions to the IP address from which they originated" enabled will prevent you from connecting your Org to Trailhead. For some reason, when trailhead checks challenges, it doesn't use the same IP address throughout the transaction, causing the error because the connector was logged out. As much as I'd like to claim this as my own discovery, @Matt Latto was the one to come up with the solution and posted it on another question, Not able to verify steps of Trailhead project. Although this isn't officially a question, to my knowledge this information is not anywhere else on the forum, and if it is, it couldn't hurt to post it again. Disable the "opening sequence" in lightning. I was wondering how to disable the "opening sequence" in lightning experience? When you log in or open a new page using lightning, you have to watch the butterfly flap it's wings for a minute or until it's obvious it's not going to work and you have to revert to classic. This is one of my many grievances concerning lightning. My other big one is that you rarely can open other pages in new tabs because it's all done with Java, but even then you still have to watch the butterfly. Can anyone please help me with this? If anyone has even any kind of long shot speculative guess of how or why this is happening (or any suggestions as to how to solve it), I'd greatly appreciate it. I am new to apex, having only recently finished the Developer Beginner Trail, minus the VisualForce module. I know this can be done with Process Builder, but I thought I'd give it a shot programmatically in my Developer Edition. I'd greatly appreciate it if anyone could tell me what the Invalid foreign key relationship error means, and how to fix it. I have created a custom tab using REST API and i manually create a permission set in my dev account and access the readability settings of the tab. But in SalesforceIQ starter plan permission sets are not available, how do i change the readability settings of custom tab in this case? NEED HELP - How to use flows to update all contacts that have a zip code longer than 5 digits. All is working except I cannot figure out a way to use quicklookup to find contacts with a zip code longer than 5 digits! I have created a visual flow that collects all contacts that meet certain requirements, stores them in a sObject collection, preforms functions on the data in zip codes fields to shorten them to the first five digits, saves them in a new sObject collection, and then updates them all at once. This works perfectly if I preform the first lookup with either the specific contact ID, or using "Starts with" and then the correct first 5 digits of their zip code. HOWEVER, this flow is only useful if it works by automatically recording ALL contacts that have a zip code longer than 5 digits and then preforming the tasks just on those contacts. Is there a visual flow repository where users contribute and get flows? I hate to re-invent the wheel. I'm stuck on this section of the challenge: creating and editing an opportunity. I've created the opportunity but Trailhead says I have not. Please help. Unable to finish the trailhead module "Spring 16 Release"
Few month ago, I did some old trailhead module that I began but no finished. Today, I tried to continue this module but it tells me that it's impossible (module closed). Is it possible to continue it again? Or at least, disable from my view "Active module"? It's the module "Spring '16 Release"
The 'Lightning Hobbies by Contact' report does not appear to have a locked filter. Check out my screen shot, what am i doing wrong here??? Reports & Dashboards Superbadge - tips from a First Ascent! It has been updated in the past few weeks, so beware of older comments and screenshots that people share. You should NOT copy them! Detail, detail, detail. For ALL items you create, copy and paste the names into the blanks - report names, dashboard titles, group names, etc. Check twice. Expect to run into "bugs". There were easily a dozen that I had to work around carefully. It started with importing data needing to be CSV parsed, and ended with not being able to move the Lightning report into a folder. Data import was a bit off. Excel doesn't like to export 1 tab at a time, so be very diligent about checking each CSV to see that it's good. For some reason, the Hobby list gave me problems, so I added some data that I never mapped upon import. And details.. a lot of details. There was an underlying report that wasn't really discussed much, so I had to create it carefully and tweak it until it did what I wanted. And again, details. Flipping from Classic to Lightning is easy, but you have to be sure that everything is there and ready to go before you do. As I found out the hard way, you can't edit in Classic after you start editing in Lightning, so that affects this step and step 6. Oh, and details.. names, etc. I can't remember anything specific about this step. But, details. I did these reports first (before checking any challenges), and it took a LONG time. There are so many parts to get right. The custom report type is the real key, though. Read very carefully when setting it up, because a wrong choice there will cascade down to all of the reports and make life miserable. Also, for some reason, my matrix report kept re-inserting columns that I had removed, so I had to check that report EVERY time I edited it. Oh, and details, once again. This one was pretty easy once I saw the notes at the BOTTOM of the description (about creating the user, etc.). I had already worked on the Security Superbadge (stuck, tho) so I knew how to work these well. But as I said earlier, the Lightning Dashboard gave me the worst trouble. I found a SFDC webpage that said it was impossible to move the dashboard into another folder! So, improvise, which ended up working. Oh, and yea, as you would guess... details! I LOVED this challenge. It took me probably 14-16 hours. But now I feel very versed in these topics. Thanks, SFDC and TrailHead folks! while i installed the unmanaged LEX Superbadge package. "Install the unmanaged package from the pre-work if you haven’t already. Rename all of the standard objects in the schema as specified, and set the default page layouts for Adventure, Adventure Package, and Opportunity to the Relaxation Gauntlet custom layouts. Update the Opportunity stage values, create a sales path for sales reps (highlighting key fields and giving specific coaching guidance), and create an approval process as specified in the business requirements." Hi all, I am working on the Insecure Remote Site Trailhead and can't seem to get the image to display from a static resource zip file. Are there any steps I should take, hope it helps. I'm hoping to move all of that over to Apex once I figure out a bunch of things. I see some other suggestions about dates. It would be nice to incorporate that also. I'm sure that something like this could be incorporated into Salesforce Orgs for folks to keep track of training of their employees with Trailhead. Part of the loader I've built using the Partner WSDL scans thru all of the badges of a profile and can load them into the Org somewhere. Set Flow Offset Unit in Minutes? How can a Flow's Wait Logic Offset Unit be set in minutes? Is there a way to convert hours or days to minutes using decimals? For example does 0.1 = 6 minutes? What happens to formula fields with return type as currency when multi-currency is enabled for an org? I need to create a formula to get difference (Minutes) between between created date and the current time excluding weekends. what are the limitations in dataloader when bulk api enable? I am having an issue with my points not being recognized. While I've obtained 12 badges and nearly 3k points my profile showes me with 0 points and as a Newbie. Am I missing something? Are the profile points separate from the points obtained through earning badges? Trailhead Challenge : Not able to test "Apex Basics & Database" Challenge ! The challenge is to Create an Apex class naming StringArrayTest having function generateStringArray that returns an array (or list) of formatted strings ('Test 0', 'Test 1', ...). The length of the array is determined by an integer parameter. So I have created following StringArrayTest Class with generateStringArray function. Executing the 'generateStringArray' method failed. Either the method does not exist, is not static, or does not return the proper number of strings. Whats Wrong in here ? I'm getting an error when checking the Using Visualforce Pages in Page Layouts and Mobile Cards challenge. The error says that the page isn't evaluating the 'Prospecting' stage, yet the code works when I insert an Opportunity Id where the Stage = Prospecting. return "You need to ask really good questions"
return "Determine the needs by asking really good questions"
return "Make sure the price doesn't exceed the budget"
return "Maybe go down, but don't go down too much"
If you have any ideas as to why this isn't working, I'd love to hear them. I wasn't able to connect to my dev org from the challenge page. I got a message saying my session had timed out, regardless of whether or not I was logged in, though not through the trailhead challenge. Are points earned only if connected via challenge? I am doing the "Add a Mobile Card that Displays Content Based on Opportunity Stage" challenge. It asks for a Visualforce page which displays content depending on opportunity stage. "The page isn't evaluating the 'Prospecting' stage. " I get the error message "Constructors cannot be static" on line 2, but I can not find anywhere an example of a public static method that returns a value. How can I fix this? When someone takes the time/effort to repspond to your question, you should take the time/effort to either mark the question as "Solved", or post a Follow-Up with addtional information. That way people with a similar question can find the Solution without having to re-post the same question again and again. And the people who reply to your post know that the issue has been resolved and they can stop working on it.